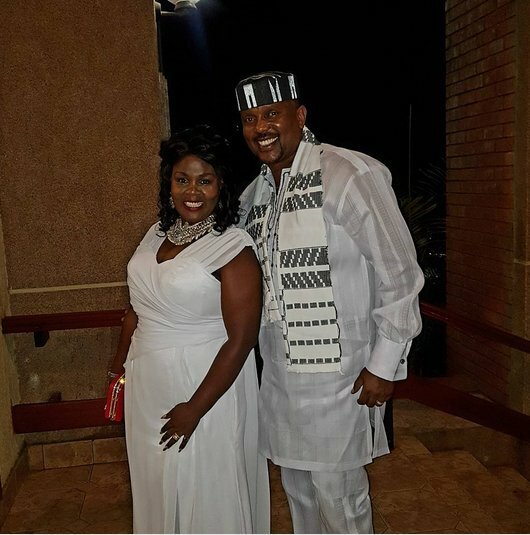 Famous televangelists of Jubilee Christian Church in Nairobi, Bishop Allan and Kathy Kiuna have indeed come a long way. A few years back before fame and money, they never looked like the current flashy pastors you see on TV and social media. 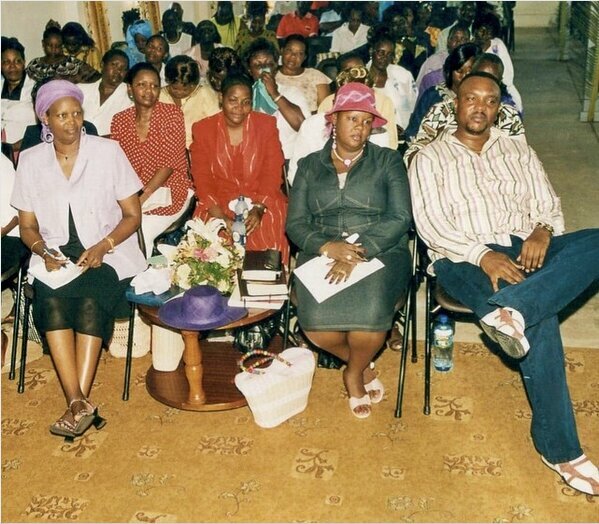 Allan Kiuna shared this photo (below) seated next to his wife following a sermon before they transformed. Long, long, LONG ago!! . From the archives!!! It’s been a fantastic journey of Faith. 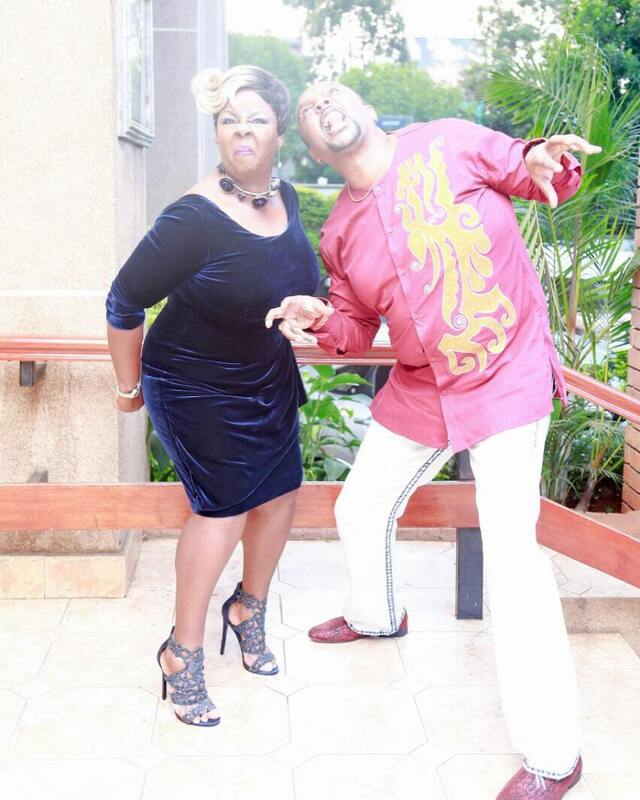 My sweetheart Rev Kathy kiuna and my spiritual covering Rev. T. Wairimu In the picture have been my pillars of strength and great source of encouragement. Whatever is shining today, was not always glittering. Never ever despise the days of small beginnings! 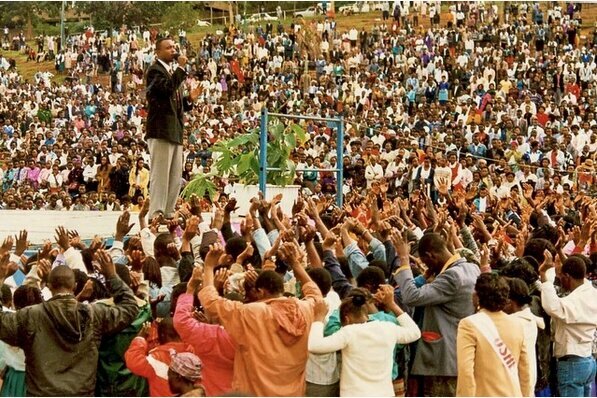 In another post, he shared a photo of himself standing on the ‘pulpit’ preaching to hundreds of people at a crusade at Uhuru Park back in the day. Way back at UHURU PARK!! It’s been a fantastic journey!! We soldier on. The religious power couple’s #TBT photos have awed many. They are a living proof no situation is permanent. The Kiuna’s church (JCC) has 15 Kenyan branches and five international churches.